The mission of Habi Arts is to promote political and artistic empowerment to inspire and mobilize people for progressive social change. Strengthen the culture of resistance and struggle against all oppression. Promote scientific, democratic and progressive forms of art. Challenge feudal and colonial influences to reclaim Philippine identity, heritage and traditions. Challenge the limited viewpoints and images perpetuated by mainstream media. Support and foster a community of artists through programs that facilitate artistic growth and promote socially conscious art. Promote and celebrate cultural diversity and create spaces for information exchange and dialogue. WHAT DOES HABI NG KALINANGAN MEAN? Habi (Tagalog): weave; the method or pattern of weaving; the process by which something is kept together to construct into a whole. Ng Kalinangan (Tagalog): of or pertaining to culture. Habi Arts believes that in weaving our cultures, we are empowered to create spaces for information exchange, dialogue, and action–using art and culture as tools to affect deep and lasting social change. Habi Arts is a founding member of BAYAN USA. 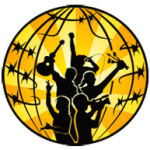 BAYAN USA is an alliance of anti-imperialist Filipino organizations in the U.S., organizing for social and economic justice. Bagong Alyansang Makabayan (BAYAN) serves as an information bureau for the national democratic movement of the Philippines.